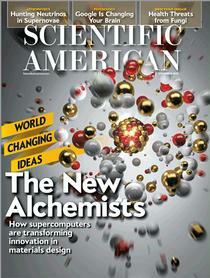 Dan Wegner published his last paper here in this edition of Scientific American. It marked the end of a prolific, decades-long career in social psychology—one studded by every major award in the field, over 100 articles, seven books and an endowed professorship at Harvard University. But what the public record does not reveal is how Dan approached science and how that approach influenced his academic progeny. A mere inspection of his CV also misses why it meant so much to him that his final paper would appear here in Scientific American. For me, as his graduate student, and later a colleague and friend, the metrics of his academic success do not capture what Dan meant to the field. To Dan, science was about noticing something hiding in plain sight. It meant taking a simple observation of human behavior and wondering, “Why is it like that? Why does it happen this way?” He would then show us how to play around with that phenomenon in our heads, in conversation, in the lab and in our writing until we deeply understood it. His best friend, the noted Harvard psychologist Dan Gilbert, recently described Wegner’s humor as the place where joy and intelligence meet. For his students, his humor didn’t just mean working in the lab was fun: his brand of psychology could not have worked without it. Humor was part of the creative process. While I was in the lab, he had a red-haired puppet called “Little Ap,” named after the psychologist, Ap Dijksterhuis. In one psychology study, participants had to manipulate this puppet while they were being interviewed. The interviewer would alternately direct questions to the participant then the puppet. After several minutes the interviewer asked the participant to describe their worst lie. After the participant finished talking the interviewer immediately turned to the puppet and asked, “Was that really their worst lie?” At this point, participants invariably had the spooky sensation of seeing the puppet shake its head in the negative. “Can a person feel outed by a puppet they control?” was just the kind of question that tickled Dan. It asked something profound—in this case, can action be dissociated from intention—in a way that was simple, compelling and fun. Dan’s career took him from Trinity University in San Antonio to the University of Virginia and then Harvard. Along the way he inspired hundreds of undergraduate and graduate students, many of whom are now professors themselves at universities such as Stanford, Dartmouth, Columbia, Carnegie Mellon, Georgetown, Duke, the University of North Carolina at Chapel Hill and others. He is credited with founding no less than five separate areas of psychological research including mental control (how we control our thoughts), transactive memory (how we store memories in others), action identification (how we think about what we are doing), apparent mental causation (how the feeling of will arises) and mind perception (how we perceive minds in others). His ideas are the very definition of timeless, and are the building blocks for countless new areas of research. I worked with Dan on perhaps his most controversial hypothesis—the illusion of conscious will. I was given the freedom to use whatever tools might help us test the ideas, and my mind stretched accordingly. His students often combined well-established surveys and perceptual tasks with more unusual methods and materials: hypnosis, dreams, party games, rubber hands—whatever would best get at the question. He showed us that science was about answering questions, and you had to follow where those questions lead—even if that meant inventing something new. Where did this inventiveness come from? To understand that is to understand why he published his final paper here. In 1950s Lansing, Mich., Dan Wegner was a boy with a lot of time on his hands. His widowed mother was a piano teacher, which meant that his after-school hours were her working hours. Dan was left alone to play in the basement with a stack of Scientific American magazines for company. He devoured The Amateur Scientist—a column that described a vast array of things to build at home, from chromatographs to laser guns to grapefruit cannons. Using these scientific recipes, he conducted experiments and created gadgets. He had a number of accidents—detonating a stink bomb in the house, spilling mercury, hitting a bus with a rocketing grapefruit—but he emerged with all 10 fingers, a wide-eyed sense of possibility and a deep love of science. Dan died in July this year, two weeks after he found out that his final scientific paper would be published in the very journal that started it all. It was exactly how he wanted it. Thalia Wheatley is an assistant professor in the Department of Psychological and Brain Sciences at Dartmouth College, and an expert in the fields of neural systems. Daniel Wegner was her graduate adviser.